Wiccans/Pagans and others who use herbs and other plants in ritual may want to include some of these plants as representing south/fire. For a discussion of the plants we feel are best representative click here. 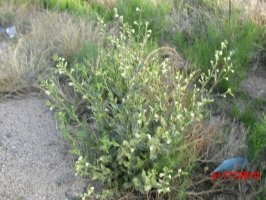 For a more detailed discussion of the magickal uses of these and other desert herbs visit our blog. Note that by visiting our blog you will be leaving this site. You will find links there back to this one. These are herbs which grow primarily, if not exclusively, in the desert southwest. Much has been written concerning the effects of desert climate on plants in general and herbs in particular. The Peterson Field Guide to western plants states it briefly, "The ecological diversity forced by the west's harsh environmental extremes has stimulated the evolution of secondary metabolites -- chemical compounds that have biological effects in humans -- in many plants. 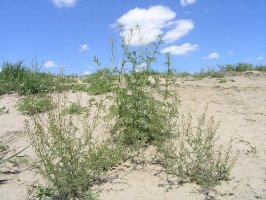 Among the western bioregions with the greatest potential for bioactive plants are the vast desert expenses....The Chihuahuan, Sonoran, and Mojave Deserts...."
The desert, being what it is, plants are generally pretty sparse, especially in dry years, of which we have been having quite a few. Being conscientious harvesters we don’t just go out and gather a half a ton expecting to toss out what doesn’t sell. Also, at this time, we don’t know which will sell or even if any will. For these reasons we are not gathering and storing large amounts of many herbs. But we do have a stockpile of some while others can be harvested pretty much any time of year. These first plants are relatively plentiful and it is possible that we could have some in stock. If you would like an herb which is only available during particular seasons you may need to order ahead of, or at least early in, that season. The information listed here is available in a wide variety of places. Any quick search will bring up all of this information and probably a lot more. Much of it is repeated word for word on several different websites. Therefore we see no need to cite sources. Tansy and Sahara Mustard - Generally speaking Tansy Mustard is available here mainly from late December through most of January. The larger lower leaves are available late December to very early January. The flower stalks grow up through mid January and the seeds become ready late in the month. Remembering my earlier days in the true northern California when I would pick the green seed pods from the two local varieties of wild Mustard to chew on, I decided to try the same here. As would be expected, the seed pods of the Tansy Mustard are woodier and less tasty. Beyond that, however, we haven't experimented but will make sure we do so next January. There is also an invasive species of Mustard from northern Africa and southern Arabian peninsula which is referred to here as Sahara Mustard. It is larger than the Tansy Mustard and follows it by about a week. The local natives of southern Arizona used the seeds of Tansy Mustard for stomach problems, a whole plant poultice for toothache, an infusion of the leaves to wash sores or as a soak for aching feet. The plant was mashed and poulticed on cuts. A lotion was made from the plant for frostbite and sore throats. The seeds were powdered and made into a topical treatment for rheumatism and arthritis, and plastered over the back and chest for bronchitis, pneumonia and other chest infections. Internally, mustard seeds have been used as appetite stimulants, emetics, and diuretics. If you are interested in the emetic effects, or in how to avoid them, there are websites which give specific instructions, cautions and warnings. As a diuretic Mustard is used internally and externally for edema and other water retention issues. The plant is also antimicrobial, antifungal, antibacterial, anti-inflammatory, rubefacient and irritant. Recent studies suggest that Mustard is anticancer and may be useful in fighting diabetes. Uses of Mustard plants seem to be pretty much interchangeable between the various species and it is likely that some variety grows near you wherever you are. However if you would like to try a southern desert variety, just write us. Tobacco - The longer leaves around the bottom are available throughout the winter. The smaller leaves growing up the flower stalk are available pretty much throughout the year. The variety we gather is commonly known as Desert Tobacco (Nicotiana obtusifolia - pronounced nicoshayana). The tobacco which is sold in stores has been selectively bred to contain as much as 9 times more nicotine than the wild varieties; that, of course, for the purpose of causing people to become more easily addicted. We do not suggest internal use of Tobacco in most circumstances. In an emergency and as long as a person knows what they are doing, the cathartic and emetic effects of a mild infusion could be indicated. A person who is not a regular smoker could induce the emetic effects merely by smoking. 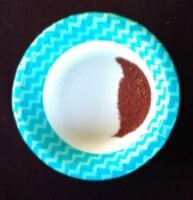 It seems to us that in a case such as this it would be safer to smoke than to try judging the proper amount to be used in an infusion. 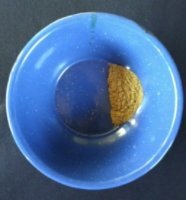 A mild infusion was also used to fight worms. We have, on occasion, given our dogs a pinch of chewing Tobacco, but this only when we knew them to have been exposed to worms. It seemed to work. There are some other internal uses but we are not going to mention them here. As a poultice the leaves are used for eczema, skin rashes, rheumatic swelling, dandruff, cuts and snakebite. As a wash it was used to treat edema, hives, athletes foot and other skin irritations. It also makes an insecticide: we use it as a spray for spider mites on our plants. 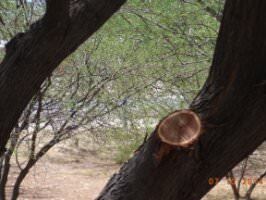 Mesquite-The leaves are available, generally speaking, from about early February to about early November though they are somewhat available year around. I would venture to guess that those in the spring are probably the best. We gather primarily from the Honey Mesquite (Prosopis glandulosa).Uses: Leaf, seed pod and bark make a strongly astringent and antimicrobial infusion which is used for GI tract inflammations, diarrhea, dyspepsia, ulcers and hemorrhoids and is used externally as a disinfectant wash for inflammations such as athletes foot. Leaf and pod infusion are also used as an eyewash, especially for inflammations. Sap is taken for throat and stomach problems. Is said to restore intestinal health after gastrointestinal disease or intestinal surgery. 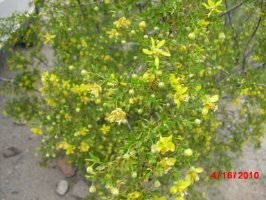 Creosote ( Chaparral ) -can be harvested year around but is best in the spring or during a good Monsoon season (generally from the first week of July till the end of September if it is a good, rainy Monsoon). Be warned that the smell of Creosote may prevent internal use, as an infusion, at least. While some people do use/promote a Creosote infusion we could never get past the smell. If you do plan to use Creosote internally we would suggest capsules and/or tincture ( both of which we will provide if requested ).Also, some people seem to have developed liver problems from overuse of Creosote internally so be sure to research it thoroughly prior to using. But it is also good for external use so that we use it in the making of salves and oils. In fact, since it prevents oils from becoming rancid there is some amount of it in pretty much all the oils and salves that we make. Uses: Internally- is sometimes suggested for arthritis, asthma or cancer; but again, research it thoroughly. Externally-for psoriasis/eczema, HPV, herpes 1 and 2, cuts and abrasions, skin infections, poisonous and non-poisonous insect bites and a “premalignant squamous cell carcinoma, called actinic keratosis” ( red scaly patches on sun damaged skin) and relieve swelling of limbs caused by poor circulation.